No, it isn't the Santa Clarita Valley. 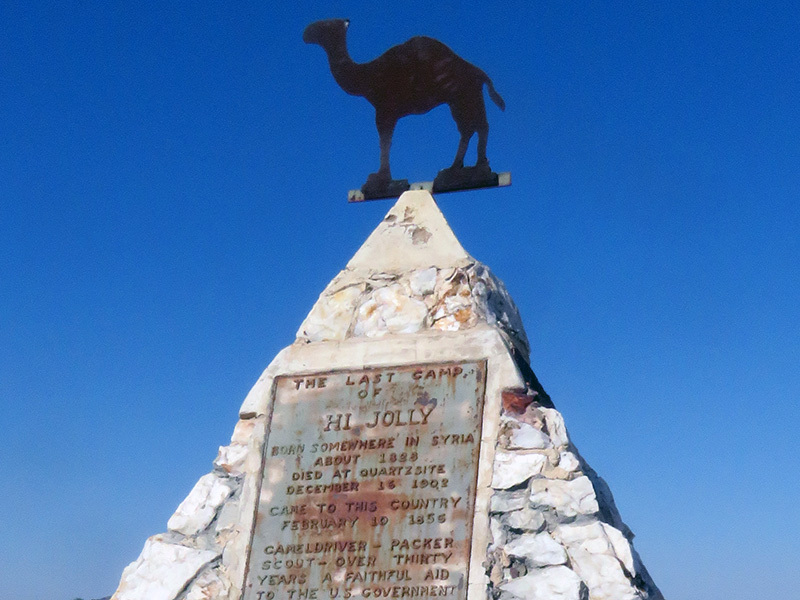 It's Fort Davis in West Texas, launching point of the ill-fated U.S. Camel Corps. 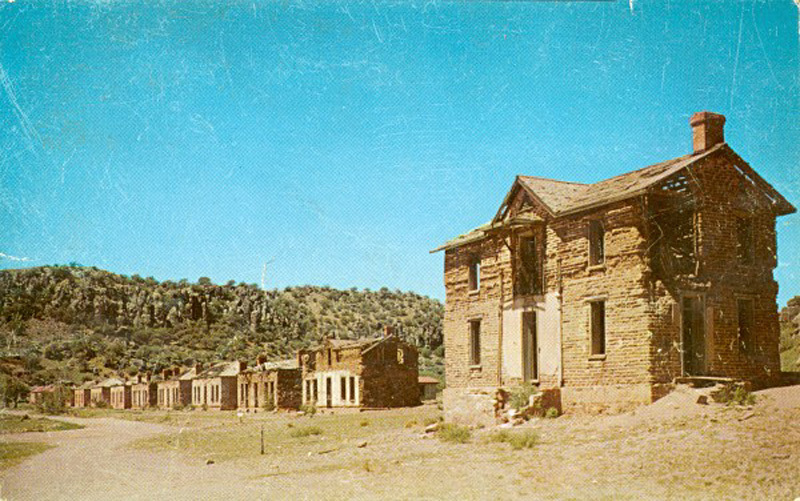 WEST TEXAS — Old Ft. Davis was established in the heart of Comanche and Apache Country during the troublesome years of the Gold Rush. Army detachments protected settlers and wagon trains, the first "U.S. Camel Corps" was tried on desert expeditions to the Rio Grande. Photo by Peter Koch, Big Bend National Park, Texas. Genuine Natural Color Made by DEXTER PRESS, Inc., West Nyack, N.Y.